There's a THIRD incident coming to light involving NFLer Kareem Hunt...along with the video proof. The former Kansas City Chiefs running back was cut from the team after surveillance video of him shoving and kicking a woman in the hallway of a Cleveland hotel in February surfaced. After news broke that he was being cut, the NFL revealed they were also investigating him for another incident where he allegedly punched a man in the face at an Ohio resort back in June. TMZ got their hands on a video of Kareem being restrained by a security guard moments after he allegedly beat down a 37-year-old man who had to be hospitalized for a broken nose and broke rib. Apparently, he filed a police report, making claims that Kareem, former Chiefs running back George Atkinson, and others jumped him at the Mosaic nightclub around 2 AM on January 7th. However, he stopped cooperating with police and no charges were filed. Chronologically, the incident above is the first known altercation involving Kareem this year. The 2nd incident with the woman happened in February and the altercation with the Ohio man went down in June (where there isn't any video). Kareem was not arrested or charged with a crime in that incident either. NFL Network's Ian Rapoport reported that Kareem will likely serve MORE than the baseline six-game suspension. Following the release of the first video, Kareem sat down with ESPN's Lisa Salters to apologize for his actions during the February altercation. He admitted he lied to the Chiefs organization about the incident and he also revealed the NFL never came to talk to him about the Feb. incident. According to Athletic's Nate Taylor, the Chiefs were trying to get their hands on the first tape but were unsuccessful. The organization knew the video existed, but they were reportedly instructed by the NFL to NOT pursue it as the league investigated the situation. Now the NFL is insisting they asked for the security video from Cleveland police months ago, but were unsuccessful. They are responding to rumors that said they didn't request to see the video until AFTER TMZ leaked it. "We had multiple verbal conversations with Cleveland police officers and requested surveillance video immediately upon learning of the incident in February," NFL vice president Brian McCarthy said in a statement. When asked for comment by NBC News on Tuesday, a spokeswoman for the Cleveland Police Department said she would have to look into the NFL's claim but indicated she had no record of a request being made by the league months ago. No one picked up the NFL rushing leader before the deadline, so he will not be playing this season. Now, EA Sports is scrubbing him from the Madden 2019 video game. The video game company decided to take him off the roster amid the controversy. 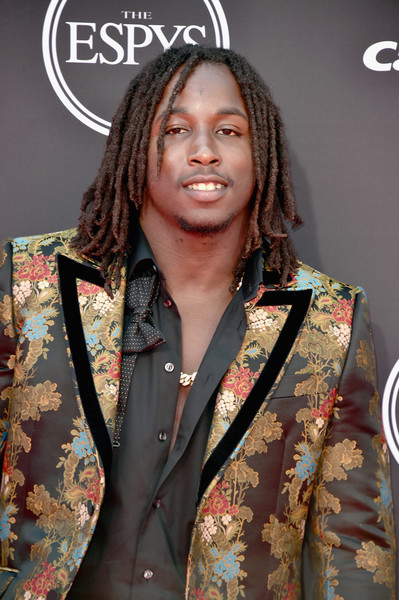 "We are in the process of removing Kareem Hunt from the Madden NFL 19 roster, Madden Overdrive and Madden Ultimate Team," a rep for EA Sports tells TMZ Sports. "Any of our players who currently have Hunt on their Ultimate Team will receive a replacement generic player with identical stats." After former NFLer Ray Rice spoke out about helping Kareem through these troubling times, Michael Vick is now speaking out. The former NFL quarterback, who was given a 2nd chance in the NFL after he spent 19 months in prison for illegel dogfighting, told TMZ the only way Kareem is going to bounce back from this is by getting anger management help. "I can relate to that situation because I seen it over and over again as a child. I spent time with Kareem Hunt when I was in Kansas City and I think he's a good kid. Now, he has to show that he's even better because he made a major mistake." He can always reach out to me, I'm going to give him positive advice," Michael Vick told the site. "I didn't condone what he did. I'm against that, but he's gotta learn from the situation."